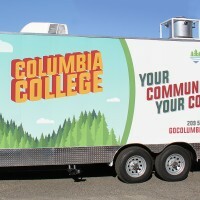 This was a very large 44′ long trailer that received a full wrap on both sides, front and back. Definitely a rolling billboard! 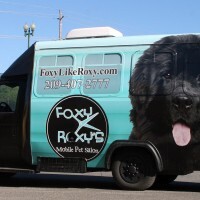 This 3/4 wrap for Foxy Roxy’s Mobile Pet Salon makes a big impact as a rolling billboard! 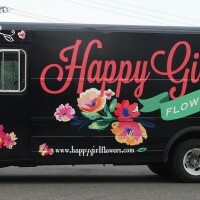 This white delivery van for Happy Girl Flowers was transformed with a full wrap. The black background and whimsical flowers and writing make this van stand out! 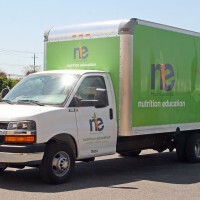 These graphics were designed by Marcia Herrmann design here in Modesto and submitted to our company to use on a fleet of vehicle wraps for Manteca Unified School District’s Nutrition Education program. 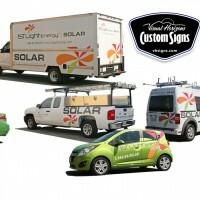 Great example of turning vehicles into rolling billboards! 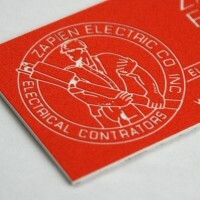 Custom artwork and logo recreation on engraved plates is an in-house specialty. 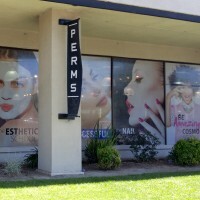 Indoor and outdoor materials available. We can do large quantities of engravings on short notice. 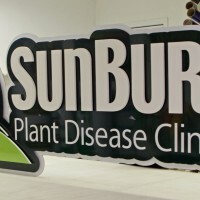 Trust us with your next engraving project – including in-house ADA / Braille signage. Looking for healthy food, fast? 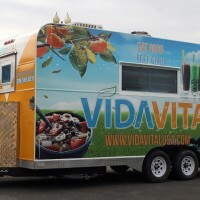 Check out Vida Vital’s food trailer in Turlock, CA. 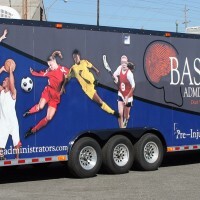 This was a large trailer with full wraps and spot graphics to grab attention! How do we install big wraps like this? In really big panels!